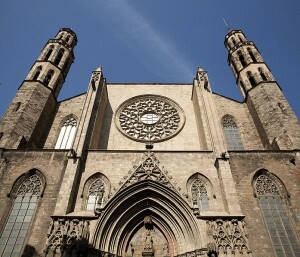 Which could be a better way to discover the history of Barcelona than through its art and its architecture? Barcino was the first name of this city in its founding during the Roman Age. In the medieval period, it became an important capital and some of the Romanesque works were reconstructed to give way to the Gothic ones. Nowadays you can get to discover a lot of these creations, such as the Born Market or the church of Santa Maria del Mar, by taking a ride through the streets of the city. But the centuries of Barcelona history bring us many more works of art, such as the modernist ones, which were born from one of the most important artistic movements in the capital and in Catalonia. In this city we will find, in a perfect state, works such as the Palau de la Música, The Pedrera, the Casa Batlló or, popularly known for its continuous construction, the Sagrada Família. We can get to know almost the whole of these architectonic works during a morning on bike. The narrow streets of the Born sector, one of the most important parts of the district of Ciutat Vella, are full of secrets which you have to discover if you want to get to know this Gothic part of the city. In the sector of the Eixample, a really important commercial centre, we will experience the change with great wide streets where we will find the famous modernist works. Take advantage of your trip and experience the history of Barcelona closer by pedalling through its streets.